Is there a place for “serverless” PLM systems? At the beginning, PLM was a toolkit that was literally customized and build for a specific (usually large) manufacturing company. Since then, PDM / PLM vendors made a long way down to the path of how simplify applications, create pre-configured templates (best practices), improve user experience and eliminate the need to invest into infrastructure (cloud app). You can hear debates about “configurations vs customization”. Although situation is improved significantly, the desire of PLM implementation is to focus on business functions rather than thinking about data models, UI and application architecture. My hunch that the dream of PLM consulting and service companies is to build fully configurable (no-code) environment in which business logic will be programmed by business solution developers and analytics. The idea of “no code” PLM is nice and very inspirational. I question a viability of such type of solution in my earlier articles – Dreams and Realities of “no-code” PLM. 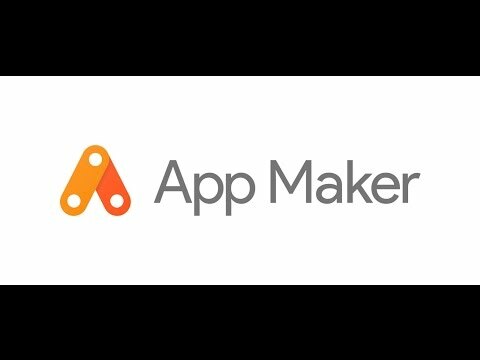 Google launched “App Maker”. TechCrunch article brings an interesting write up here. I can see the point of developing simple data driven applications. Google is trying to democratize what is done by platform vendors such as Salesforce.com and some others. But Google is actually making step forward by setting the stage for something they call “Serverless” software. The typical use case for these kind of apps are time-tracking solutions, or tracking orders and inventory — essentially any problem inside a company that can be easily digitized and solved by a very basic custom app. The advantage here, Google argues, is that users won’t have to worry about any of the underlying infrastructure (the buzzword here is “serverless”) and that it allows them to develop apps that solve their very specific needs without the need to bring on a developer. Users who want to delve deeper, though, can also do so thanks to the built-in scripting editor, which — from the looks of it — feels like a pretty fully featured IDE. App Maker is now available through Google’s Early Adopter Program for G Suite Business. If you want more info, learn about App Maker here. It made me think about “serverless” case for PLM systems. In my view, it cannot replace fully fledged PLM data platform. But here is the thing… We live in the edge of transformation from System of Records (SoR) to System of Engagement (SoE). Such transformation will require to rethink a traditional monolithic platforms and move into network thinking. Building agile serverless application can be an approach to make it happen.